Lead a failing organization out of a crisis. In this blog, we sometimes talk about the fact that vital, growing organizations are learning organizations. The lifeblood of a learning organization is knowledge management. For learning to sit at the heart of your organization, leadership needs to recognize and promote knowledge management at all levels. Our guest blogger today is Lean practitioner and author Robert Camp who talks about the qualities of Lean Leadership and how they support a learning organization. The longer I practice Lean the more I appreciate how great a role good leadership plays in an organization’s transformation. LEADERSHIP: Honestly, I can think of no other single factor that makes or breaks a transformation so readily. By that I mean they make the time to learn about Lean themselves and make the decision to proceed. No successful transformation can be approached with a “do as I say” attitude. You’re asking people to change, and leading from the front means you have to change first and demonstrate your personal commitment. Lean can’t succeed without a personal commitment from all leaders. That commitment can’t be provisional or halfhearted. Once subordinates have learned what Lean is all about, they need to commit to personally practice and support it. If they can’t or won’t, they’ll need to leave. PERIOD. You can demand people to change and they will do exactly what’s required, but no more. You’ve won their hands, but not their hearts. Only by creating an environment in which subordinates are led to embrace lean can real change take place. That brings us back to leaders lead by example and coach good performance. Most organizations are in a rush to save/make money, so they begin Lean at the bottom of the organization, where money is made. That won’t work. For Lean to work, employees at each level need to see their leaders demonstrating it first. 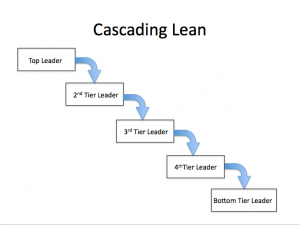 That means Lean behavior has to cascade down from the top. Anyone who tells you that Lean can work from the bottom up, or the middle out, has never seen a transformation to the end. There’s only one way. Top down! - EMPHASIZES PHILOSOPHIES OVER TOOLS. Because the tools save money, everyone’s in a rush to start with the tools first, but tools only support the philosophies. If practitioners don’t understand how Lean works, any gains made with the tools will be short lived. Lean becomes the WAY you manage, HOW you manage and ultimately, WHY you do everything. Lean isn’t something you do in addition to managing your company. It becomes the way you manage. Lean isn’t something you layer on top of everything else you do. It becomes how you do everything. In time Lean becomes why you do everything. One would think profit or revenue would suffer, but the opposite is true. Lean management leads to a state, a mindset, of continuous improvement; not only reducing the cost of today’s product, but becoming more aware of your customer’s needs and creating products and services to meet or exceed those needs. Like all great leaders the Lean leader’s focus is often on the horizon. They are scanning for new ideas, new technologies, new products, etc. Lean leaders don’t spend their time perfecting today, they are constantly on the lookout for things that will enhance their future position in the market. Fanatical Fans return to do more business and bring others with them. Lean leaders understand that neither money, nor machines, nor technology, nor anything else makes fanatical fans of their customers. They know that only people do that. Whether it’s their suppliers, their employees, or their customers, Lean Leaders recognize the dignity of the people they lead and serve in all they do. That doesn’t mean Lean leaders are soft. Part of recognizing the dignity of people is to continue to challenge them, to continue to hold them to high expectations. Lean leaders don’t just arbitrarily set new challenges. They collaborate with their suppliers, with their employees, with their customers, always looking to improve. Because the leaders set the standard by embracing change first, others are more open to accepting new challenges and even recommending them. 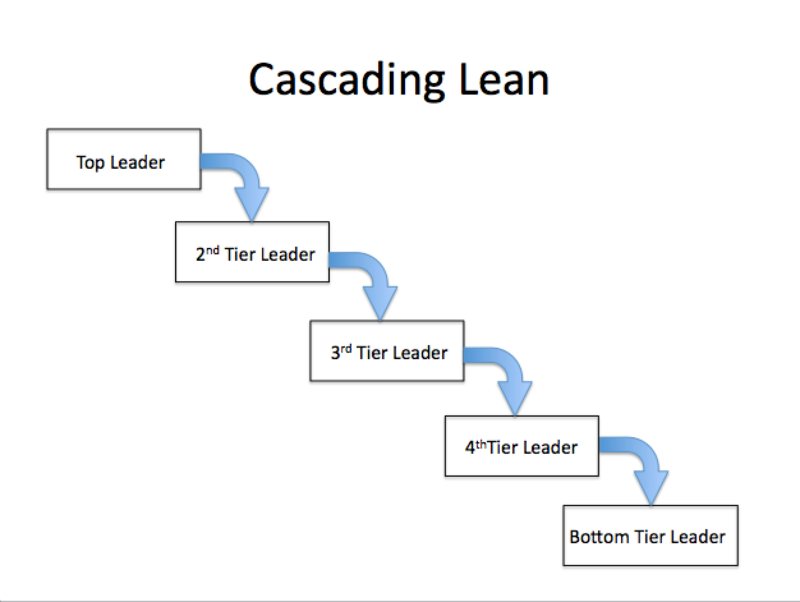 Lean leaders don’t end their growth once they’ve embraced Lean. They continue to learn and grow. Moreover, they create an environment in which everyone continues to learn & grow. That is why Lean organizations are frequently referred to as learning organizations. If you have recently embarked, or are thinking about embarking, on the road of Lean, ponder these words, as they will have profound impact on your life. Last week, we talked about critical thinking as a type of expertise, one that you can teach and grow quickly within your organization. One of the greatest values that a true critical thinker can bring to the organization is the ability to look without fear or favor at all parts of your business. That requires turning a bright light on a series of questions that will illuminate where you are and where your business is headed. Your big picture thinking about your business and industry needs to include your knowledge management plan or, more specifically, what expertise you need to bottle and preserve to keep your organization running. When it comes to your knowledge management plan, you need unblinking honesty about the state of your business and industry. Because, quite frankly, not everything or everyone that got you here will get you there. The future is moving faster than the average long-term plan, which is why long term planning has fallen out of favor to agile product development and rapid prototyping. Plans be d*****d. Your competitors have something coming off the proverbial drawing boards that can send your product off in another direction, or off the market completely. Instead, he advocates strategic thinking as a response to the VUCA (volatile, uncertain, complex and ambiguous) world in which we conduct business and live. It’s a world that requires a bias toward action, informed action, but action nonetheless. Let me suggest it is informed action that still requires the type of long-view thinking more characteristic of strategic planning than agile rapid-response iteration. I am a fan of rapid-response iteration within context. And it is that context that is driven from a deep understanding and analysis of the factors driving your business, your industry and the larger environment that is characteristic of strategic planning. 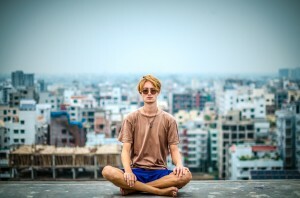 Critical thinking skills among leaders produce good decisions made within a framework that makes sense based on everything you know, and takes into consideration all the things you don’t know which is a Zen mind trick. And the list of things you don’t know grows longer every day, making those critical thinking skills even more critical. Pivot and live to see another day. In our ever-expanding quest to spread the Working with Subject Matter Experts gospel, we test platforms beyond the blog to get the message out. This week, we created a test course, Strategic Planning for Knowledge Management. As a writer, I love to write so that is my go-to communication method. But you absorb information in different ways, so we like to play with other formats to help reach you and teach you where you’re at. We enjoy creating the podcasts and will probably keep them going in some fashion after our first season. In the meantime, I am developing a series of online courses and thought I would share a 10-minute sample of an introductory course with you here for your feedback. Because this is a test, I realize the lighting and framing of the video is poor. That is the fault of me, the user, and my Internet connection. The actual platform and technology is really cool and if you like the idea, I will refine it and spend some time improving the video on my end. Content: Is this information helpful? Audience: Will leaders in your organization find the information useful? Format: Would this online course suffice in place of live workshops? Value: Would you like to drill down in this topic of strategic planning for knowledge management and learn more about how to find your experts using this framework? Platform: How about the platform? Do you like the slides plus video? Would it be helpful to add the text so you can follow along and read it (Of course, we will make formal courses 508 Compliant)? Would slides plus just audio voiceover be better? We continue to welcome your comments and feedback. Some of you choose to reach out directly to us at workingwithsmes@gmail.com and that works for us, too. We read everything and respond. Thanks for following and sharing this information with others. Welcome to the Working with SMEs Podcast with our co-host Nathan Eckel. This week, we discuss unique learning situations that require unique approaches to knowledge transfer. As we look at the 70-20-10 rule that says 70% of learning happens on the job, 20% happens in mentoring situations and 10% happens in formal learning, we discuss ways to emphasize what works. Nathan adds his usual dose of special humor and regales us with tales of “soul-crushing losses”. We also explore some of the attributes of extinct and emerging industries including their approaches to learning transfer. As a bonus for staying with us for the full 12 minutes -yes, we do all this in just a little over 12 minutes! – you will find out the latest and greatest experimental approach to learning transfer. As always, thanks for listening. Please comment below and share your thoughts. During the last several weeks I have seen several titles of workshops on how to work with SMEs that bothered me, and I feel the need to step forward and speak up in defense of experts. I don’t vent often, but this needs to be said. No, I won’t call out the sponsors of the workshops, but I will call out the pattern of disrespect because it offends me to see experts insulted. In fact, let me suggest that if people who work with experts do not respect the people they work with or enjoy the job, they should find other work or change their attitudes. One workshop offered help on how to work with “brilliant jerks”. Seriously? If you think someone is a jerk, why would you want to work with them? Even more poignantly, why in the world do you think they would want to work with you? When you resort to name-calling, it demeans not only the other person but it demeans yourself. Another workshop insinuated it will help you deal with experts in a way that suggested deer-hunting or working in a morgue. This particular company said it can help you “snag, tag and bag” your expert. The image is really quite macabre when you think about it. A third consultant suggested that experts are sort of goofy and need to be managed in a way that is manipulative. Yes, good people skills are essential to working with experts. In fact, good “soft skills” – as they are called in the training industry – help in all relationships. My colleague Nathan Eckel is an expert on working with subject matter experts from a soft skills perspective. He is an expert in leadership skills. In fact, he speaks and writes on how to “lead” experts from a 360 degree perspective. 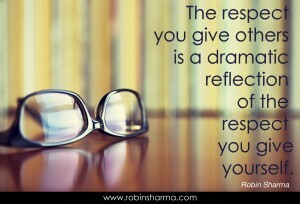 That attitude, one of leading another in a relationship of mutual respect, is a positive approach. He and I often tease each other about our different mindsets about working with experts. Nathan is about soft skills and I am about process, templates and methodology. He points out that we actually are both about all of it but we focus on different parts. Certainly, we recognize the need for both approaches and the value of having a combination of those skills in any project. Especially because I have known and listened to Nathan speak on this issue, he has made me particularly sensitive to the way we work with, talk to and talk about the experts we have the honor of knowing and learning from. 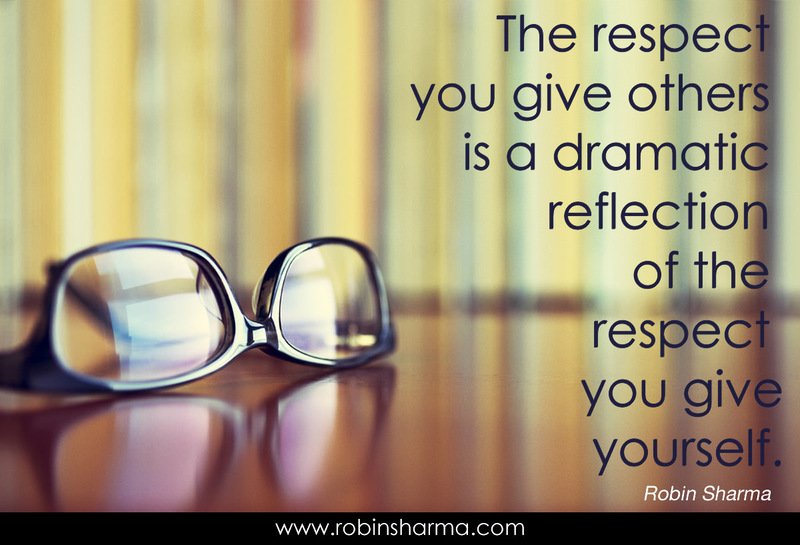 A respectful attitude ultimately spells the success or failure of your training project. More important, they lead to success or failure in life. If someone thinks they are working with a “brilliant jerk”, guess who the real “jerk” might be? In this episode of the Working with SMEs podcast, cohost Nathan Eckel leads a discussion about the importance of doing a thorough knowledge scan and capture in your organization to support succession planning efforts. While it is likely that any new leadership is going to make some changes, a thorough assessment of the important knowledge assets in your organization can help new leaders make critical decisions and support their efforts to move the enterprise forward. As Nathan points out, often it is the soft, coded or unarticulated knowledge that is the special sauce that makes your company successful. So it is important as you plan for the future of your organization that you do a thorough assessment of your assets today, and that you make sure you retain that information that you can’t afford to lose. We welcome your comments and feedback. Thanks for listening. You are not on your own! The books are good starting points for understanding how and why to work with your internal corporate expertise. However, I offer workshops, presentations and consulting packages to help you and your team pull through the ideas, execute on them and get results. If you are in the Philadelphia area, AmpTech in Malvern is sponsoring a public workshop next Friday, January 13 from 8:30 a.m. to noon, 3 Clear Strategies for Finding, Capturing & Transferring Retiring Expertise. You can register here. Presentations for your organization including a one-hour overview of how to work with subject matter experts geared toward subject matter experts and instructional designers, and a half- or full-day session for decision makers who are concerned about losing valuable corporate knowledge. Ongoing consulting to pull through finding your experts, working with them and helping you move the process toward completion that includes presentations, relevant workshops to meet your particular circumstances and one-on-one sessions with key personnel. Do-it-yourself workshops on Working with SMEs and Finding Your SMEs that include presentation materials and a detailed facilitator guide with or without train-the-trainer assistance from someone on my team. I also have a few projects in development this year to help expand my reach to help more people more easily. A handbook, Working in SMEville: Tips, Tools and Techniques for Subject Matter Experts and the People Who Work with Them, will be available for sale by the end of January. It is designed to help the training department and subject matter experts with some practical advice drawn from the two books organized quickly and simply in one place. This blog will continue on Tuesdays, and I am working on creating a weekly podcast that will run on Thursdays in this space with conversation and advice that addresses issues presented by clients and readers. If you sign up for weekly emails, you will receive the blogs and other notifications. Video classes and presentations on individual topics, both on-demand and live. Admittedly, the two books can be used as working documents with charts, checklists, diagrams and explanations of the theory behind them for some intrepid individuals to implement on their own. However, I have developed workshops that tie the pieces together and take you through the various processes. And I would be very pleased to work with you to make the plans work inside your organization. If you are interested in exploring ways we can work together, contact me at workingwithsmes@gmail.com and let’s schedule a discussion. Your strategic business plan for 2017 must include a comprehensive assessment of your internal corporate expertise, and a plan for retaining critical assets. If it doesn’t, it’s not too late. Join us for a second presentation of this public workshop in the Philadelphia area on Friday January 13 based on the book Finding Your SMEs: Capturing Knowledge from Retiring Subject Matter Experts in Your Organization Before They Leave, where we will look at the kinds of expertise you need to capture and how to make those decisions. We had a lot of great participation at the December session, and we look forward to another exciting exchange of ideas. I hope you can be there. It will be so much better with you. Here are the details. Topic: Working with Subject Matter Experts: 3 Clear Strategies for Finding, Capturing & Transferring Retiring Expertise. Seating is limited to allow maximum participation by attendees. We recommended that you send more than one person from your organization to facilitate discussion within your company. A nearly perceptible anxiety surrounds the retiring baby boom generation in corporate America today. Many thriving businesses began in the post World War II manufacturing boom. As those knowledge workers leave for the sunny golf courses of Florida, they take with them lifetimes of knowledge and skills that some businesses will never replace. But it doesn’t have to be that way for your organization. Join us for the second presentation of this workshop on January 13. Click here to register. Our host for the event, AmpTech, serves as a provider of expertise for innovators, entrepreneurs and startups. As part of the Greater Philadelphia Entrepreneurship and Innovation Ecosystem, AmpTech maintains a collaborative environment where start-ups, service providers, investors, academia and local businesses can join together to get products and services to market FASTER. AmpTech bridges the gap for start-ups and corporate innovators by providing a place to develop products quickly and under one roof. AmpTech provides rapid prototyping capabilities establishing an opportunity to pilot various technologies before market launch. Join us for this popular workshop Friday, January 13 in suburban Philadelphia where we will be discussing managing corporate knowledge assets. Click here to register. Lunch and a copy of the book Finding Your SMEs: Capturing Knowledge from Retiring Subject Matter Experts in Your Organization Before They Leave are included in the registration fee. If you have questions, you may also contact me directly at workingwithsmes@gmail.com. Subject Matter Expert or Poser? I love doing live workshops, webinars and seminars because the questions and discussions are usually a great place to further explore the subject matter of subject matter experts. A discussion at a Working with SMEs workshop the other day led to an issue that deserves a quick mention – and that is, how do you know if you are working with a true subject matter expert or if you are dealing with a poser? Let’s define our terms, and that will get us where we need to go pretty quickly. A subject matter expert (SME) is somebody who has dedicated about 10,000 hours to learning a subject. In working years, that translates into about five full-time years of effort. People who earn PhD’s, for example, dedicate effort to research and working in a very small area of study for least as many years. They are expected to be able to defend what they know to a jury of their peers and then write several hundred pages of documented effort showing their work. A Harvard Business Review article from 1989, The Experts in Your Midst by Michael J. Prietula and Herbert A Simon, defines a SME as someone who is analyzing and applying about 50,000 disparate pieces of information in their head at one time. It goes mostly without saying, but I’ll say it anyway, they know their subject well enough that their analysis and ability to problem solve is mostly happening at a subconscious level. An expert in business and industry who hasn’t earned an official PhD might have dedicated 5, 10 or 20 years perfecting their craft at a machine that manufactures a specific item or part, or by learning from their customers while meeting their needs. That’s true expertise, too. What is a poser? For that, I defer to Merriam Webster. Definition #2 is “a person who poses.” The etymology of the word is “pose” and the first known use is 1888. A person who poses as a subject matter expert is not a subject matter expert but is donning the position. How do you know if that is what you are dealing with? One of my mentors, the late turnaround artist Elmer Gates, could sniff them out pretty quickly. When he took over a company, he called his direct reports into his office and asked them some basic questions about their lines of business such as how to defend their sales projections. He asked detailed questions about their customers’ businesses. If they didn’t have the hard data, he asked them to go find it. When his direct reports drilled down into the organization and found the answers, the actual knowledge usually resided one or two levels down. Your actual experts are doing the work every day. They understand their machines, they understand your customers. Posers tend to be the people who know how to play the political game and leverage the actual expertise of others. So when you are dealing with someone who puts themselves out as a subject matter expert, ask for detail. Look for the data. I read an article recently that stated an expert is usually known by their peers, but that is occasionally untrue. A master politician can accrue a lot of political capital to defend their job and bluff their way through a meeting. If you ask your subject matter expert for detail and they don’t have it, you may have a great politician or people person on your hands, but you don’t have an expert. You have a poser. Elmer Gates usually sent those people a pink slip because they added no actual value to the organization. Spend your valuable, finite resources capturing and retaining irreplaceable knowledge in your company, and make sure you are talking to actual experts by asking the hard questions and looking for detail. People with great people skills and master politicians are great to have around and companies need them, but they are a lot easier to replace. Join us for a workshop Friday, January 13 in suburban Philadelphia where we will be discussing this and related issues. Click here to register. Lunch and a copy of the book Finding Your SMEs: Capturing Knowledge from Retiring Subject Matter Experts in Your Organization Before They Leave are included in the registration fee. Certainly, more than at any time in recent memory, we are in uncertain times. A surprising U.S. election result… Brexit… Cuba. You can feel the global shift. Among all the hype and hyper-nationalism may appear a chance to change course from outsourcing jobs from the U.S. to bringing jobs back. The U.S. can’t continue our slide into deficit spending without the substantial amount of productivity needed to support that spending. And we certainly can’t sustain a trade deficit that has us buying more from foreign countries than we’re selling to them. For some companies, this shift signals opportunity. With opportunity comes costs. Some of the costs of bringing back manufacturing jobs will include the cost to train or re-train workers. If an enterprise is to survive today and thrive tomorrow, it must always be alert for changes in the environment. That includes being able to interpret current events in light of historical trends. If companies can anticipate a shift to increased manufacturing plants in the U.S., companies will also be gearing up to train those workers. Right now, I am seeing a perceptible anxiety among manufacturers regarding losing their experienced, legacy employees to retirement and their inability to find qualified employees to replace them. If we anticipate a shift to more manufacturing jobs in the U.S., the need to find and train workers for this sector will become more acute. And, looking at the TD study, it will also become more costly. The goal of training is to increase the productivity of employees. With this in mind, it is time for companies to consider the kind of training that will support new U.S. manufacturing workers with rapid uptake, skill reinforcement and to do it cost efficiently. Join us for a workshop this Friday, December 16 in suburban Philadelphia where we will be discussing this and related issues. Click here to register. Lunch and a copy of the book Finding Your SMEs: Capturing Knowledge from Retiring Subject Matter Experts in Your Organization Before They Leave is included in the registration fee.